It is with heavy heart that my friend and pageant mentor Louise Madlin has passed away. She was an amazing woman and I will miss her dearly. Louise was in the pageant business for over 55 years beginning with Miss Palm Springs and she considered two things to be her crowning achievement in pageantry. First was developing the MISS INTERNATIONAL BEAUTY® pageant system which she trademarked in 1978 and trademarked USA INTERNATIONAL®. 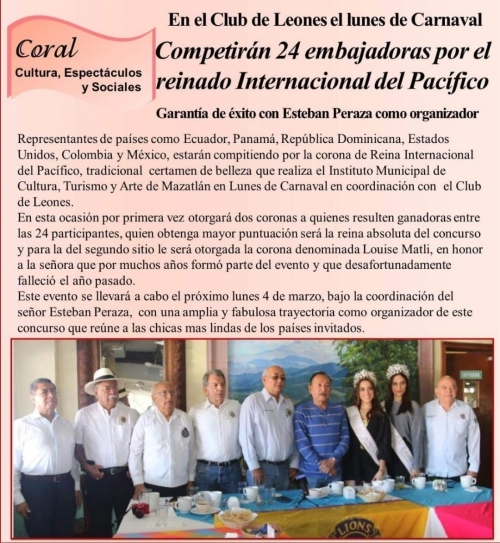 Second was opening the Mazatlán Mardi Gras visiting queen's program to queens from the United States to participate in the historic activities and then compete for the title "Reina International del Pacifico". This 40-year historic pageant and the people of Mexico meant so much to her and she became a valued consultant to the Mazatlán Carnival Committee. My friendship with Louise started in the early 1980's. I have judged and performed at many of her pageants and in 1990, I was her USA INTERNATIONAL® queen and did a media tour representing Norelco. Through the years, I was a pageant coach to selected titleholders, and a chaperone for her queens traveling to various countries including Thailand, Japan, China and Mexico. When I became the owner of the Ms. America Pageant she was always there mentoring me and giving me invaluable advice that I miss very much. It was like talking to a Pageant Library with all kinds of knowledge and she taught me the importance of just "telling it like it is." When her health started to decline, I represented Louise as a chaperone taking girls to Mazatlán for Carnival and 2019 and this will be my 6th year. I have fallen in love with Mazatlán too and love the history, culture and people. * Since the notice of receiving the trademarks we held a pageant and Jacqueline Dang was chosen as MISS INTERNATIONAL BEAUTY® 2018. Hailee Kurtz was chosen as USA INTERNATIONAL® 2018. * Sarah Garmon has been chosen as USA INTERNATIONAL® 2019 and will be traveling to Mazatlán as a Goodwill Ambassador and then compete in the historic REINA INTERNATIONAL DEL PACIFICO. * To honor Louise Madlin and her memory, Susan Jeske, Pageant Director Bacho Peraza and the Minister of Cultura/Tourism have agreed to crown two winners at this year’s pageant. Reina International del Pacifico 2019 and MISS INTERNATIONAL BEAUTY® 2019. * For several years we have been trying to create the history of the REINA INTERNATIONAL DEL PACIFICO. We have an ongoing template under Reina Del Pacifico. If anyone can help fill in the years we would greatly appreciate it. * On 2-25-19, Susan Jeske, Kristine Watson and Cathy Madlin went through some of Louise’s archives in her home and took over 200 photos documenting Reina International del Pacifico winners, their names and where they are from. We are asking that should you use any of these photos that you give credit to Louise Madlin Personal Archives. *If you were friends with Louise and Weldon, we would love to hear from you. We are also trying to document the historic pageant Reina International del Pacifico and the winners. If you help us please let us know. We are missing names of winners, years they won, and what title they represented in the pageant. You can see the template under Reina del Pacifico. The newspaper states that this year 24 Ambassador queens will be traveling to Mexico to participate in many of the Carnival activites. They will then compete in a pageant where two winner will be crowned. Reina International Del Pacifico 2019 will be the first place position and the second place winner will be crowned Miss International Beauty 2019. Louise Madlin was the owner of the Miss Internaitonal Beauty and USA International. 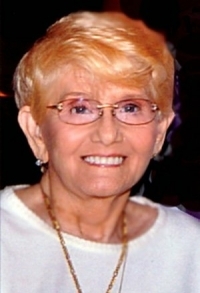 She passed away in 2018. Miss International Beauty 2019 will be crowned in her honor.